I must admit that I went into this book thinking that it would be childish and boring, however I was pleasantly surprised. In my opinion the cover isn’t great and makes the book seem very juvenile, however upon reading it I believe that it is a good YA novel. Cassandra Clare and Holly Black are yet to disappoint me. Call, the main character was unique which made him interesting and likeable, which seems rare nowadays with YA as the male protagonist are always “perfect” and frankly quite annoying, but our protagonist is complex and weird which makes him intriguing. The book was fast paced and contrary to what some may say I was surprised by the ending and the little twist in the plot. Some may say that the entire book was very predictable, however I didn’t see it that way and really enjoyed it. In terms of friendships, I was pleased that there were no love triangles (yay! ), and that romance wasn’t a key part of the boom at all, but it looked more at friendship and how characters with very different personalities were able to put their differences and parents beliefs aside and become friends. 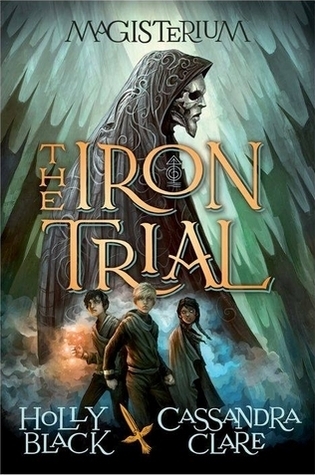 It some small way the book did remind me of the Percy Jackson series, just because of the awesome friendships within that series and the well paced character development throughout the series.